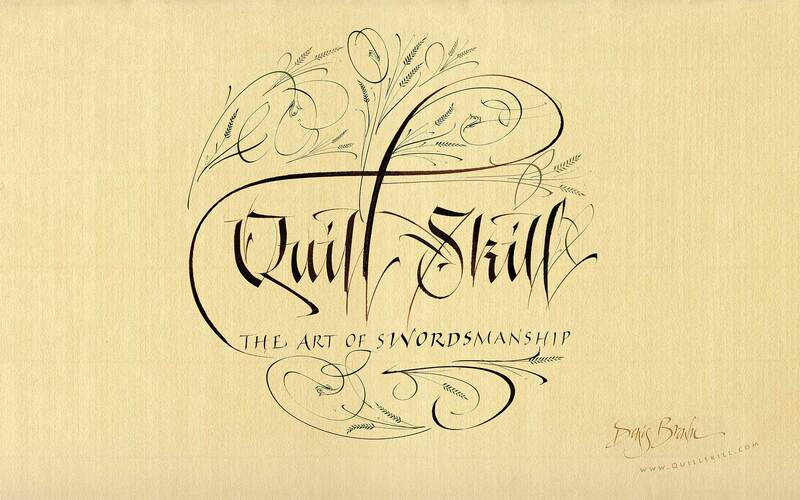 This class will take a look at so-called modern calligraphy, seen everywhere nowadays. Chances are you either love it or hate it. I hated it, till I decided that if I can’t beat them, join them. I chose to benefit rather than lose out, by taking a closer look at this popular approach to lettering. So should you. 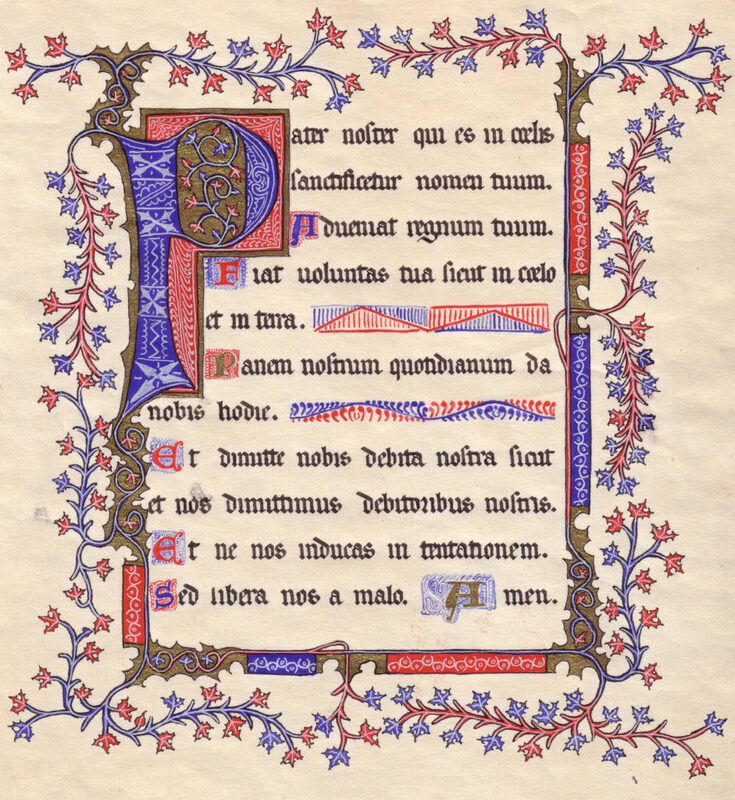 Join us on Saturday, February 16 for a presentation on medieval manuscript page layouts with Sondra Venable, then use these techniques to create a page layout of your own. 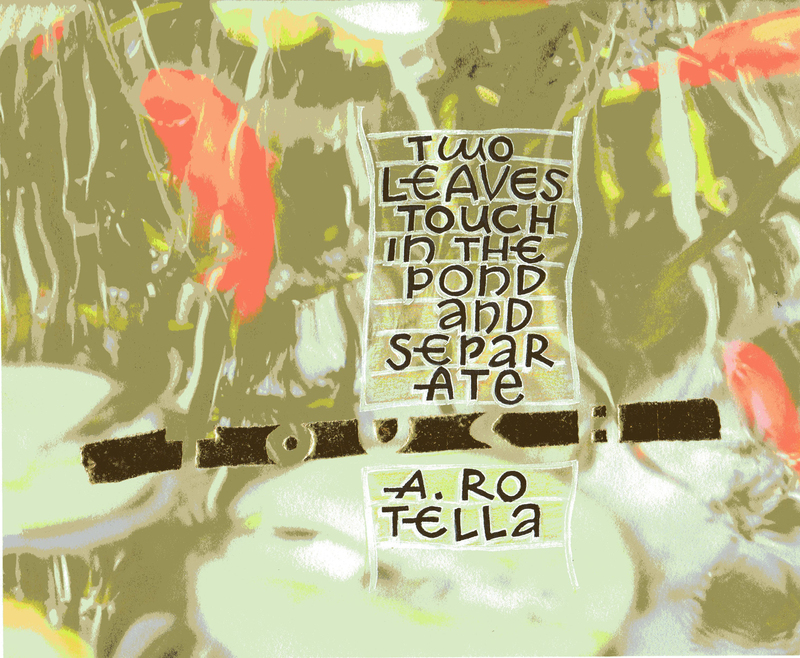 Sondra will have books on hand as well as work of her own. The Houston Calligraphy Guild is hosting a retreat on Saturday, February 16, 2019 to Sunday February 17, 2019 and one of our members is teaching a class! Patti Adams will be teaching Color in Calligraphy. There will be other guild members from around the Southwest teaching classes including Folded Pen, Bernd Letters, and Watercolors. Welcome back to another year with the New Orleans Lettering Arts Association. We have some wonderful events planned for a year that includes a not to be missed opportunity to study with Reggie Ezell. If you have not already registered for this extraordinary year long course, there is still time. You can even take advantage of the installment plan by using PayPal. 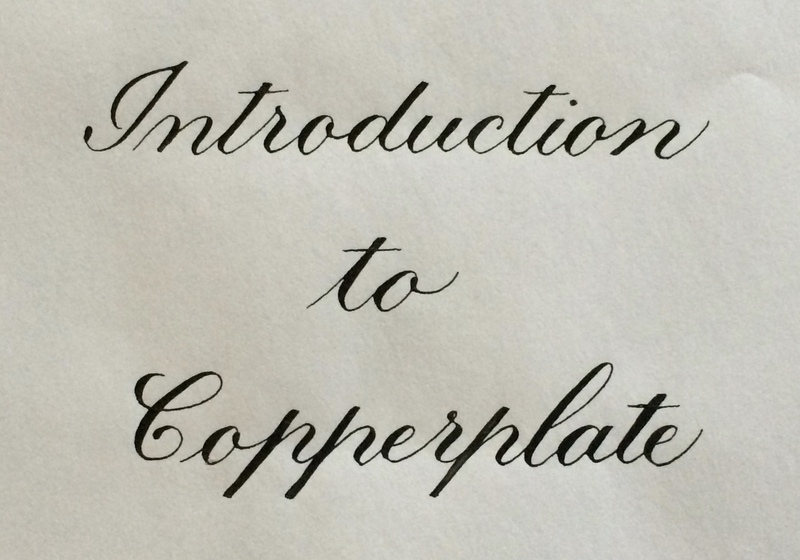 Copperplate calligraphy has become wildly popular. So this year we will focus our general meetings on demonstrating this beautiful hand. 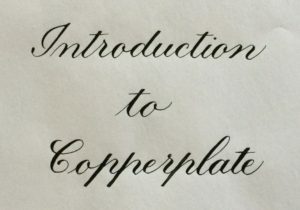 The September meeting will be an introduction to Copperplate. 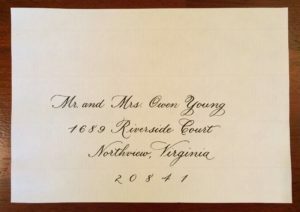 It will include the very basics of using the pointed pen, the pressure and release technique and the lowercase letters. This is a wonderful opportunity for beginners who have always wanted to learn to write in Copperplate script. 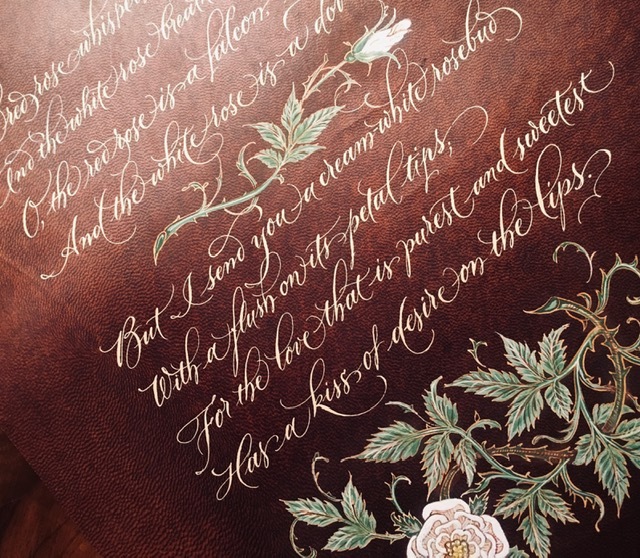 It also offers more advanced calligraphers the chance to hone their skills. Treat yourself to a year of unparalleled instruction with 6 full weekends, every other month throughout 2017. The two-day classes are geared to all levels of expertise with Reggie as the consummate teacher, leading you to depths of creativity once thought beyond reach. His methods have been proven effective and successful for nearly thirty years, sometimes encouraging not-so-gently, but always with humor. A full weekend being immersed in what we love to do is a justifiable reward for investing the time and money to make it happen. Come and play for a year and watch what happens … you’ll surprise yourself and others! To reserve your spot in the class, you will need to be a member of our guild (NOLAA) and send in a non-refundable deposit of $100. A payment plan will be available as follows: $100 non-refundable deposit to reserve your place, then $200 payments due on September, October, November, December, January, February, and March for the full $1500 fee. The overall cost of the workshop may decrease depending on the number of students. NOLAA will be covering Reggie’s monthly material fees. Class size is limited to 30 lucky people. The overall cost is less than $125 per day, well worth all the knowledge you will gain. You can register by PayPal by clicking on the button in the main menu or by mail. But it’s not too late to register for an opportunity to study with a master calligrapher. 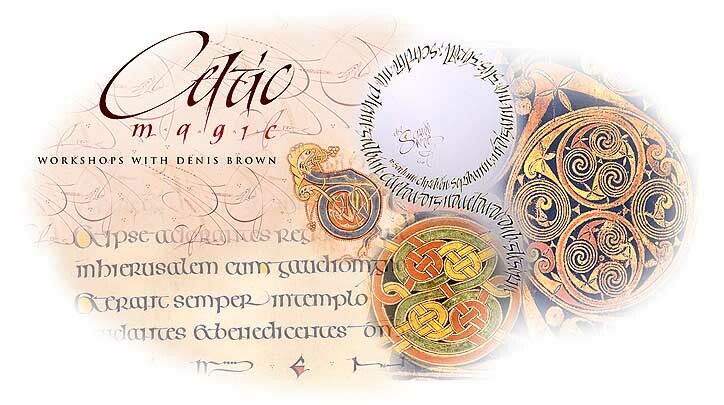 Denis Brown has been studying & practicing calligraphy since he was fifteen years old. He holds a degree in calligraphy from London’s Roehampton Institute & at age 20 became the youngest Fellow in the UK Society of Scribes & Illuminators. Please visit his web site at quillskill.com to see some examples of his extraordinary work. Mr. Brown will be traveling from his native Ireland to be in New Orleans from April 15th-19th conducting two major workshops. There is still space but you must register by April 1st. Please note that the Denis Brown workshops will take the place of our regularly scheduled monthly meeting. There will be no meeting on April 9th. 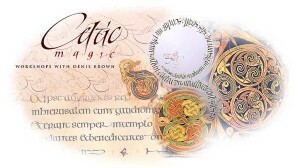 An introduction to Celtic writing. We will practice a simplified form of insular half uncial, the Celtic script as used in Irish manuscripts of the Early Christian period such as The Book of Kells. Tools and Materials: Broad edged calligraphy dip-pens (Brause, Mitchell, Speedball, or similar; large nib sizes, (fountain pens are not suitable), ink, gouache paints, palette, mixing brushes, water jar, pencils, ruler, sable watercolor brushes, sizes 000, 0 and 2, 11”x17” layout paper or other practice paper plus a sheet of quality paper such, e.g. Arches Text Wove or BFK Rives or your own preferred brand. Finely powdered gum sandarac plus a clean bristle paint-bush to apply it with, a cheap brand is adequate, medium/large size. This hybrid of Denis’ energetic italics with Gothic characteristics results in a lively modern form. Denis’ theory of italic will be introduced so students can aspire to understand forms rather than merely copy them. Advanced pen manipulations will help bring the forms to life. Tools and materials: Square edged dip-pens, (Brause size 3mm & 4mm particularly recommended in addition to students own preferred brand); ink; ruler; pencils; pad of practice paper A3 size (11″x l7″) or larger; gouache; palettes, mixing and loading brushes. A couple of sheets of a quality paper such as Arches Text Wove or BFK Rives. Finely powdered gum sandarac plus a clean bristle paint-bush to apply it with, a cheap brand is adequate, medium/large size. Please fill out the attached registration form to reserve your space for this exciting workshop opportunity. You may also pay using PayPal by clicking on the PayPal button in the Main Menu on the left.